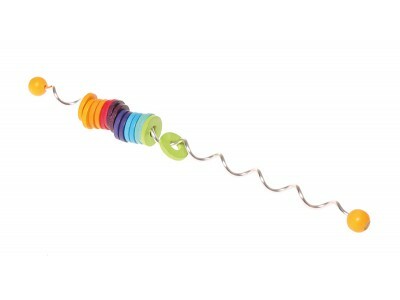 A captivating plaything for all ages (from 3 years up - grownups love it too). Simple yet smart, fascinating and colorful. 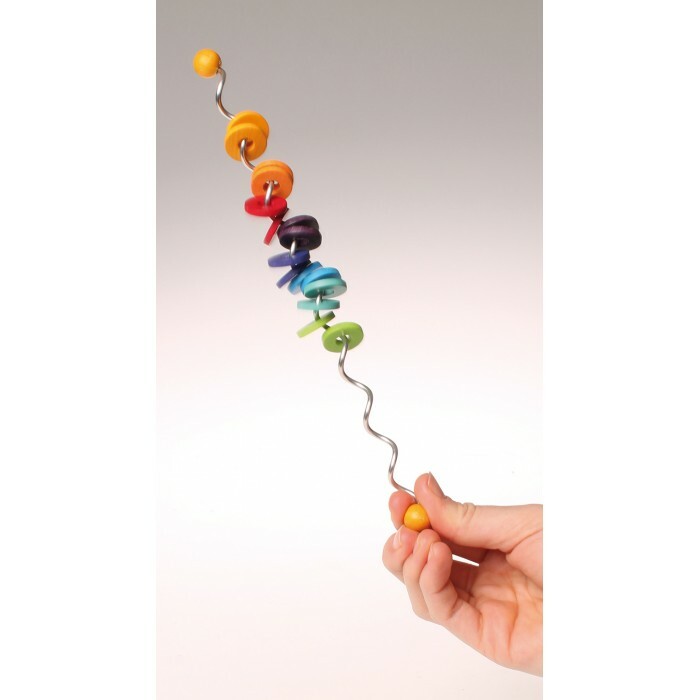 Hold the spirelli upright, then turn upside down and watch the wooden rings cascade down the spiral. 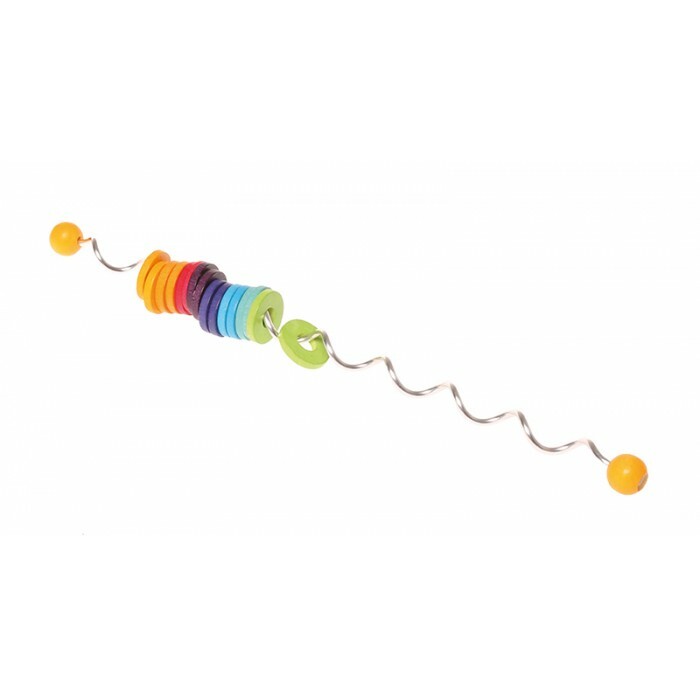 This small version of Spirelli is especially suited for the little hands of children three years and up!